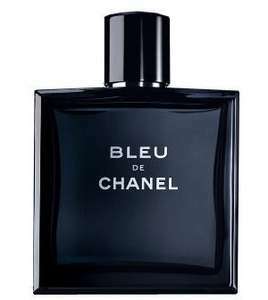 This one might not be for everyone..
Bleu De Chanel 100ml for £48.97 - is the cheapest you can get from anywhere! Boots are doing the 15% off anything over £60 (£53.97and with a £5 off voucher - FRAF45 it makes it to that total. A great smell which lasts for hours and dare I say even days. You can do the same with the other Chanel EDT's such as: Allure Homme, PLATINUM ÉGOÏSTE, and others like Allure Homme Sport which is slightly more in price. Composed by Jacques Polge, the Creator of CHANEL Fragrances, BLEU DE CHANEL reveals itself in three acts. ACT 1 - Freshness: A spirited burst of freshness ripples across the skin. A sense of liberating well-being is released.Citrus accord, Vetiver, Pink pepper. ACT 2 - Energy: A rush of explosive energy galvanises the senses. The taste for action is electrifying. A positive current of vitality takes over.Grapefruit, Dry Cedar notes, Labdanum. ACT 3 - The senses: The body gains an untouchable confidence, embracing a masculinity that is enigmatic, irresistible, impenetrable.Frankincense, Ginger, Sandalwood. Its enigmatic blue defies definition. Too blue to be black, too black to be blue. A bottle of dense, solid glass which blends authority with elegance. One of a kind, unlike anything else. Quidco - 5% new customers or 2.5% excising customers. Oh and you have to log in to get that extra £5 off, forgot to mention that. It is really cheapest I have seen.